Written Inc.: Is it any wonder? 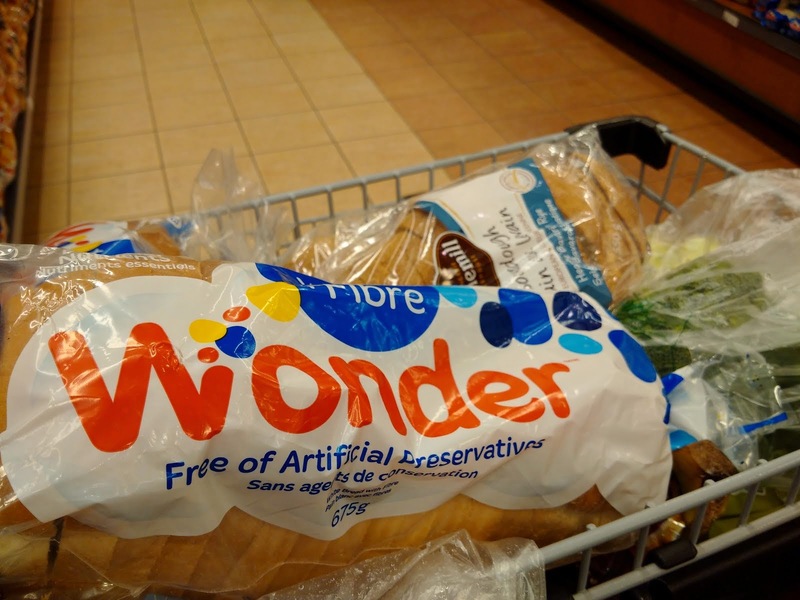 ‎I'm not sure if humanity will ever decide if Wonder-brand bread qualifies as real food. It has become the poster child for the processed food era, and a symbol of all that is apparently wrong with the modern food chain. In our house, we do our best to minimize our consumption, but kids being kids, it remains an inevitable ingredient for their lunch sandwiches, grilled cheeses and the like. This parenting thing is a tough balancing act, and I'm pretty sure the occasional slice isn't going to kill them as long as we compensate in other parts of their diet. At least that's how I convince myself I haven't just plopped some glowing radioactive mass into my grocery cart. What say you on Wonder bread? I grew up on this bread... I also envied my girlfriend's brand.. Remember Weber's bread? The red checkered bag.. Also it was 'whole wheat' and at the age of 5 I wondered what wheat bread tasted like... Today, I no longer eat that brand.. Now its true whole grain which may have sunflower seeds, spelt, and other grains..
We never had it, lol. It was the "expensive" bread that made my mother gasp and announce we certainly weren't paying THAT. When I first visited North America i was astonished at what my sister-in-law called bread - and yes, she always bought Wonderbread. To me it was like eating tasteless white cottonwool! She always used to squeeze the packet, quite hard, to "see if it was fresh". it always bounced right back! I do enjoy having Wonder bread-like product every now and then. I haven't seen it in a local store for a very long time, though.